There are many ways to foster independence and we were happy to be a part of this review of a subscription to Kids Email Safe Email for Kids. This program has allowed each of the girls to have their own email address while At Home Dad and I have control over the safety features of the system. A win-win for all of us. Kids Email is a company that has been around since 2009 and provides a safe email system for kids. Through their system, parents can monitor the incoming and outgoing messages but the child still has their own email. There are tons of safety features which the parent can turn on or off. The safe email for kids has been a wonderful tool for our family but I really want to share the highlights of the program. Parents choose which email addresses the child can send to and receive from. No spam or unsolicited emails can get through. If an email is received from an unapproved address, it goes directly to the parent account and must be approved. A response is also returned to the sender, telling them that they have emailed a child and that the parent must approve their email before the child will see it. I really appreciate that it specifies that it is an account held by a minor and that it is being monitored. That potentially wards off a lot of unwanted things. In setting up each email account, there are a number of settings. These include things like – can this email receive links for other places on the internet? Can this email receive videos? Can this email receive images? Can this email receive from anyone not on the contact list? Do you want to limit messages that have bad words in them? Can the child edit their approved contact list or who they can send to? There are controls for time restrictions that include days of the week or hours of the day. There is an activity log. This lists the date, time of login, and the emails that were sent. This could be helpful if you are using sending emails as a typing practice that you need to document. If your teen wants a bit more of a grown-up feel and address, the kmail version will be right up their alley. The system maintains the same safety features yet their email address is a bit more grown-up. There are a few other features but these are the highlights. The girls will share some of their favorite “features” in their section of the review. This includes tools that they discovered in using the program. Many Homeschool Review Crew families thought it would be neat for our kids to get a chance to “meet” each other so we set up some pen-pals. My three giggly girls chose some pen-pals based on age and common interests. It has been lots of fun for them to communicate with and get to know some of the other Crew kids. Communicating with kids from across the US and even around the globe (one of the girls they email with most frequently is in the Philippines) has been fun for them and they seem to be enjoying it. Another great thing we have enjoyed about Kids Email is that the girls can communicate with family on their own. They pop on and write an email about their day or something they thought their aunt, uncle, cousin, or grandparent might want to know or be interested in. It has been fun to see them exchange emails, read articles sent to them by their aunt and discuss the article with her, or find out about places family has visited through pictures they share. Email. I like that every message goes through my parents. I don’t know exactly why but this is a feature I really like about the program. It is fun to pick your own background and there are some really pretty ones. I chose the wolf and it is really pretty and awesome and cool. You get to change the font style and font color and font size. That is lots of fun! I have enjoyed getting my birthday and Easter e-cards from my grandparents in my own email instead of having mom call me over after checking her email. My aunt has sent me a link to an article about an elephant at their zoo, talking about the elephant and where he was before. There was a video of the elephant and at the bottom it had a timeline of his life. It was neat getting that article sent directly to me. I started emailing with a pen-pal. We have decided to read the same book and then we are going to talk about it over email when we both finish. I know that a lot of kids have emails but I have never had one. This was my first one. I thought that it was a really fantastic program. I like the way that it gave kids freedom but that parents get to monitor each exchange that goes on. I think is something that makes the parents and the children happy. I like that you could do more than just sending text, such as adding pictures take on a phone, draw your own pictures, and send articles through links back and forth. I really like that because I think it will encourage the younger kids because most of the time kids under 10 are going to be looking for ways to exploit their creativeness. This is a program that fits for all ages. I really liked being able to set up pen-pals. I thought it was a really good way to be able to explore the program while letting kids send emails to people beyond their parents and siblings. It let me be able to communicate with more people and still make it interesting. One of the pen-pals that I have been communicating with is really creative. We both like to read and write. 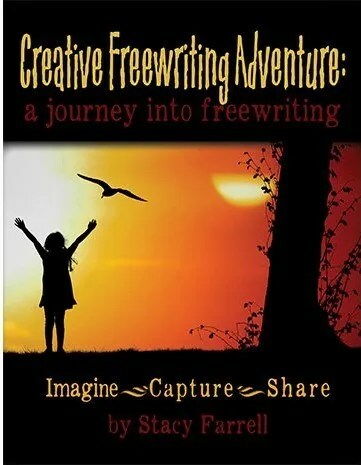 We have been sending ideas back and forth for a book that she is writing. It is really fun to get to be a part of that and get to help her with it. Another of the pen-pals that I have been sending emails back and forth with really likes to draw and make art. I do, too, so we have sent pictures of our artwork to each other. It is really fun to get to share with people who don’t really know me. It is fun to get to know them, too, especially when we are around the same age and enjoy some of the same things. I like that I can communicate to my mom and my dad and all my family members. I like to draw and the drawing tool helps me to recreate stuff and change it. I like sending my drawings to people. I like that I can change my background.I like that they have a lot of different choice for the backgrounds. I like that it tells me how many emails I have. I enjoyed getting to make new online friends. I like being able to communicate with faraway relatives. I like being able to get and give pictures that I draw and ones that I don’t draw (taken with a phone camera). I have enjoyed seeing the thrill that the girls get when a new email is received through Kids Email Safe Email for Kids. They will spend quite a bit of time typing up an email to send to someone (yay for writing and keyboarding skills!). Each day, they enjoy spending a few minutes at least checking. And when someone sends them something special – an idea or a picture or a gift card (yep – one girl was able to receive an e-gift card for her birthday) – it is just pure joy on their faces. They don’t know that it is a step towards independence but their dad and I do. And we are so happy to see how they are handling it. We are pleased with Kids Email . Check out the other reviews from the Homeschool Review Crew families that received this program. Miss J loves to tell stories but writing them down is not her favorite thing. When we were offered the opportunity to use How to Write a Paragraph from The Crafty Classroom, I felt like it would be a very good thing for us to do. 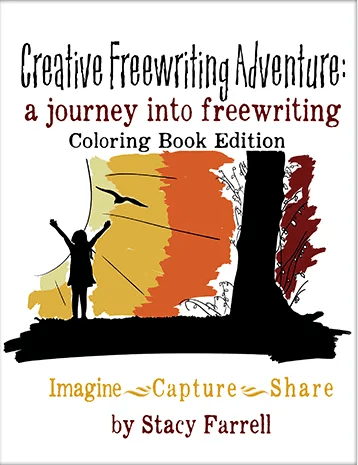 The product is cheerful (colorful if you can print in color) and fun looking, drawing us in right away. 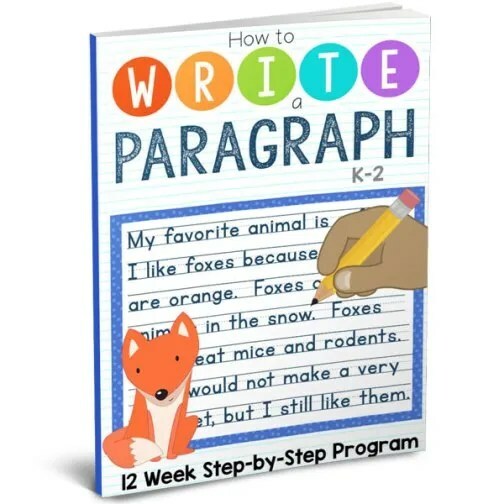 But, on to what we worked with: How to Write a Paragraph. I have let Miss J (8 years old and entering 3rd) skip over a lot of her writing because the physical part was getting in the way of her actually being able to express what she wanted to say. When I saw the samples of the paragraph writing curriculum, I thought it looked really doable, something that would be thorough yet easy enough that she wouldn’t get too frustrated. It works gradually up to the whole paragraph thing and I really liked how it gently moved the student forward. This program is a 12 week, day-by-day curriculum that includes little prep. (I hate saying no prep because you do have to print it and know what you need poster-wise for that week.) It is very easy to follow. It arrived as a PDF, which was easy to download and save. I read the introductory materials and began printing the first week’s materials. The overall program is simple: there is a page of discussion ideas and activity suggestions for the teacher, a daily work page for the student four days a week, and a “poster” to print that has the week’s topic or theme. For example, in week one, I printed off the poster that reviews what a sentence needs, the teacher page and four work pages for Miss J. In week 3, the posters (there were two) were about types of paragraphs and the other printed pages were about that. Each day, I would start by reviewing the posters from previous lessons. Then we would do the activity from the teacher’s page for that day. It might be writing example sentences or having the student find what was wrong with an example. It is always interactive with the student. Next we worked on that day’s work page. There is a little box in the top left corner reminding the student of important things to remember about her writing and a list of directions in the top right corner for completing the page. This generally took only about 15 minutes (unless she took a long time with her drawings). Quick and easy. By the time the student gets to week 5, it is time to begin writing complete paragraphs. The program walks the student through brainstorming on the topic and has gentle reminders to create a topic sentence and good supporting sentences. The posters help the student remember what kind of paragraph they are working on and how to write a good paragraph. There is also an editing checklist for older students who are ready to begin editing and writing final drafts of their work. part of the week 1 visual schedule – I like this. The PDF contained a visual schedule of each week, showing exactly what to print for each week. (I think week 3 should have shown both pages of the types of paragraphs, though. I had to make a quick computer run once we got started because I had not looked ahead to make sure I had it all and had only printed the first poster.) This visual schedule was easy to use, which makes this program appealing to the teacher who has limited prep time. All I needed was the printed pages and I was ready to go. If I wanted to be on top of it, I could print the whole file all at once and then not have to worry about whether I had printed everything I needed for that week’s lessons. I am pleased to continue on with this curriculum as we are beginning to build more complex sentences and complete paragraphs. I like that Miss J is writing, reviewing the things she needs to write well, and getting more skilled at putting her thoughts on paper. Miss J likes that there are a variety of activities – we have written on the white board, drawn pictures, cut and pasted, colored, and more – while she is working on something she isn’t crazy about. She doesn’t balk at doing this program because she knows it is not going to be too hard and she can take baby steps to get it done. Win-win. Read more reviews from the Homeschool Review Crew about the other products we are reviewing, as well as other families who have been using How to Write a Paragraph. Recently, our library hosted a contest for Tell a Fairy Tale Day. The actual day was Feb 26 this year. The older two giggly girls decided to enter a fairy tale into a contest that was held. We utilized that as writing lessons for part of that week. This was a fun and simple way to engage the girls in some creative writing. The instructions were simple: write your own fairy tale in the space provided and turn it in. They were encouraged to add an image to go along with tale. I enjoyed their fairy tales and both of them were awarded honorable mentions. I thought I would share their entries, since they were pretty short. Once upon a time in a land far, far away, there lived a king and queen, whom were named King William and Queen Adalaide. Together, they ruled wisely, and were fair and just in every needed advisement. They were rich in all but one thing, which was a child, which they wanted very much. Then one day, the Queen had a healthy, pretty little girl, and the whole kingdom erupted into celebration that stayed on for a week. The princess had skin like porcelain, hair like the midnight sky, eyes like sapphires, and lips like rubies. And only grew fairer every passing day. But then came the day she turned sixteen, which was the age the crown was handed down to the heir. Before the princess could become Queen, she needed to have a husband. So she set off on a quest to find a prince but none she visited seemed right. Finally, she came to a little island called Lilitia. There she met a girl named Lewana, who was looking for her brother who had run away from home. The two girls quickly become best friends and decided to quest together. The next day, the two friends came upon a large town and agreed to hail one another if they found what either was looking for. And so they set off. Soon the princess came upon a large inn, with many inside. One man in particular caught her eye and they fell in love on first sight. He said he was a prince, and the princess summoned Lewana. 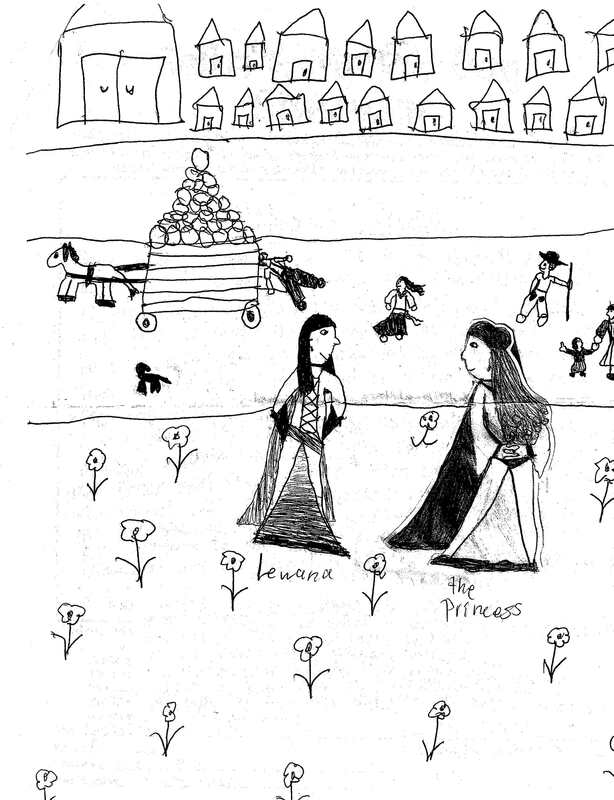 Lewana took one look at the prince and ran to embrace him because the prince was also Lewana’s brother. They all went back to the princess’s castle and lived happily every after. Once upon a time, just past the sparkling waterfall and the shining rainbow was a city of pixies. 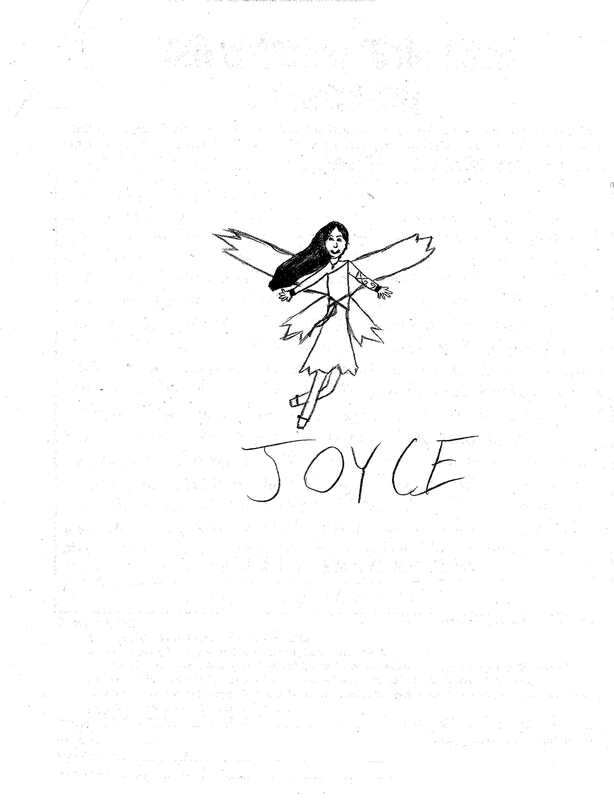 They were led by a single brave pixie named Joyce. Joyce was a curious pixie and one day she wandered out of the forest and into a house where a little girl sat reading a book outside. “Oh, Oh, Thank you so much!” Crystal yelled, jumping up and down. She and her mom went to live with the pixies and they all lived happily ever after! Such a fun way to incorporate creativity and writing into our week! I love it when things come out so simply and the girls are able to participate in community activities like this. 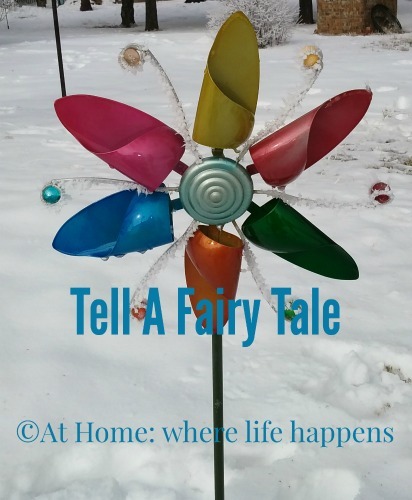 Did your library have a Tell a Fairy Tale Day? Do they often do fun activities to get involved with? I highly recommend friending a librarian and making visiting a library part of your regular homeschooling activities if it is at all possible. Our librarians are fantastic and definitely add so much to our unit studies. There was a little girl and she was using a map to find treasure in a cave. Her name was Ezil and she saw the treasure. It was a key. She was puzzled. Then she saw a door. But it was locked. Then she saw that there were two pictures that were the same on the door and on the key and unlocked the door. There was a new world with planes that were always full! And apples with notes in them! And canes that were made out of sugar cane! And clocks that were just on time to tick-tock! And it snowed there but it never did get cold! And the best thing of all is that there are NO LOCKS! Hope you enjoyed reading about her new land! Story Cubes are a fantastic way to prompt some creative writing and allow tons of freedom for the student. This is not a post that is sponsored. It is a product we love. We have three or four sets of story cubes, as each set has different characters. If you don’t have any, I highly recommend them. This post is included in the Homeschool Review Crew Homeschool Collection for March 2019. Click the image below to see the entire collection for March.